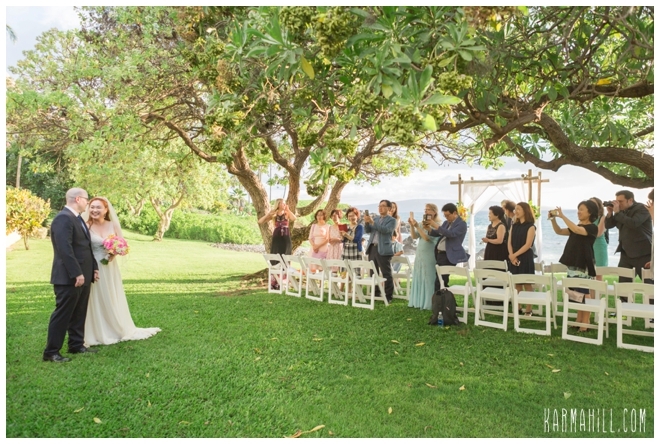 Before their Hawaiian honeymoon could commence, and then continue in Canada, Boram and Joshua had a ceremony to attend. 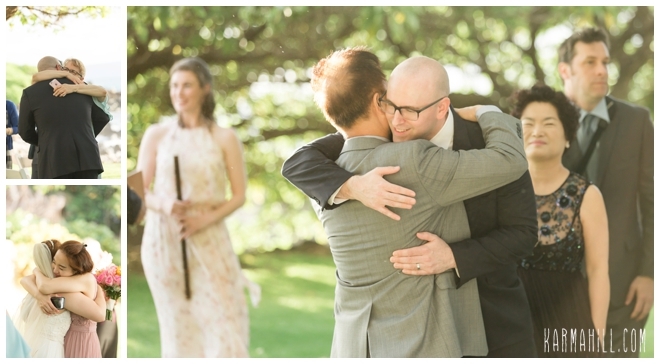 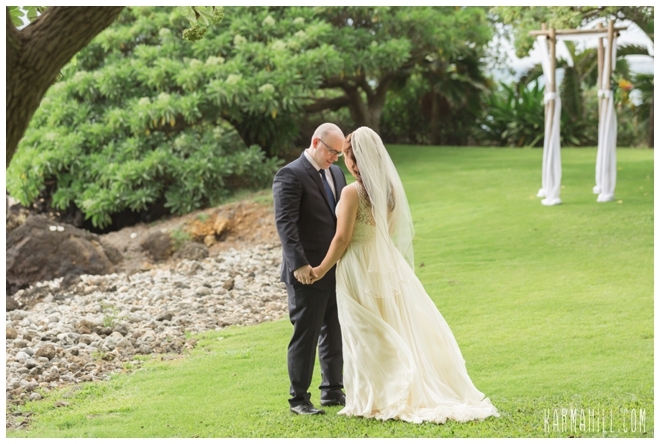 Prior to the big moment, this gorgeous couple took a minute alone to have a 'First Look.' 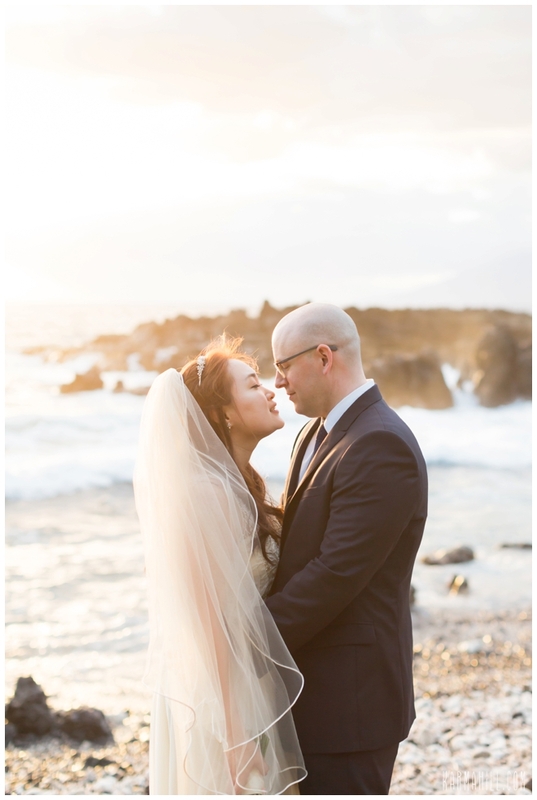 This offered them the privacy and opportunity to focus on just one another before they would become husband and wife. 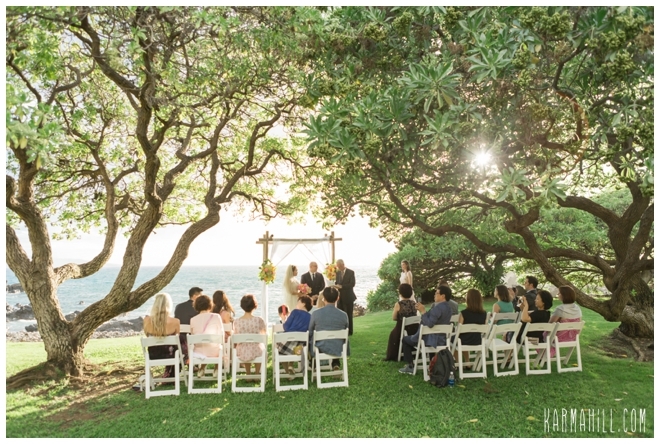 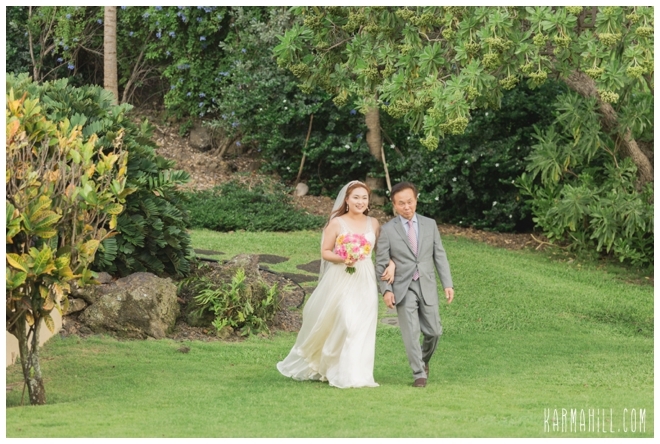 Nestled beneath the shade trees on the Kukahiko Estate, an intimate gathering of loved ones waited for showtime. 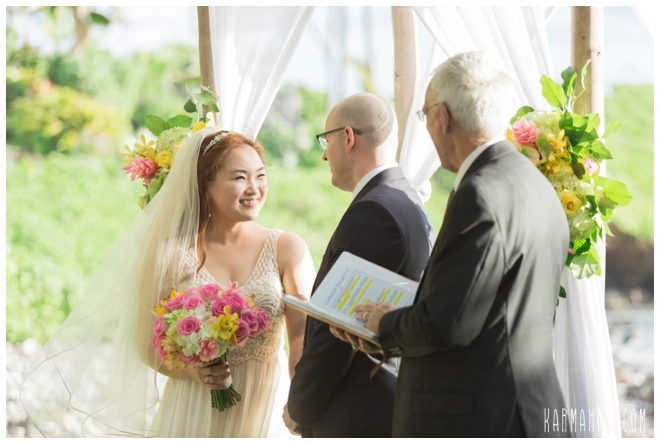 With our dashing groom stationed before the bamboo arch, all eyes turned to a vision in a veil descending the lawn towards her future. 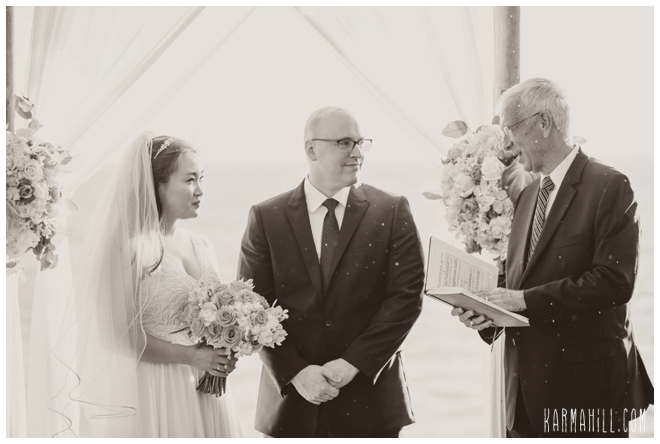 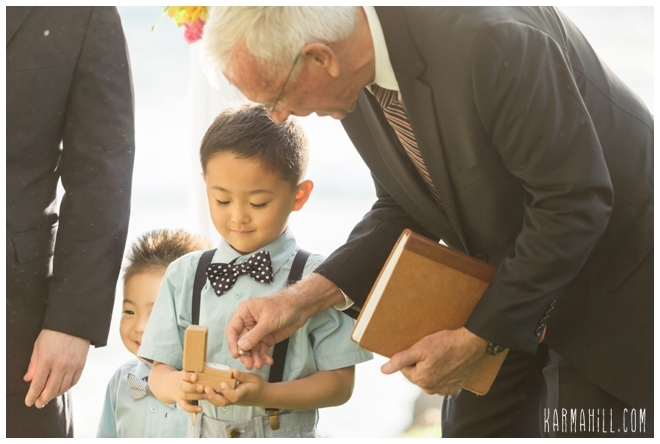 With their pastor leading the way, Boram and Joshua followed along with the ceremony that would change their lives forever. 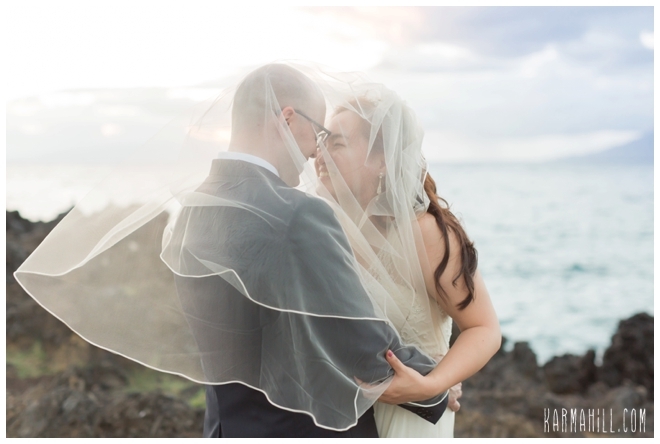 Once complete, they sealed their promise with a kiss. 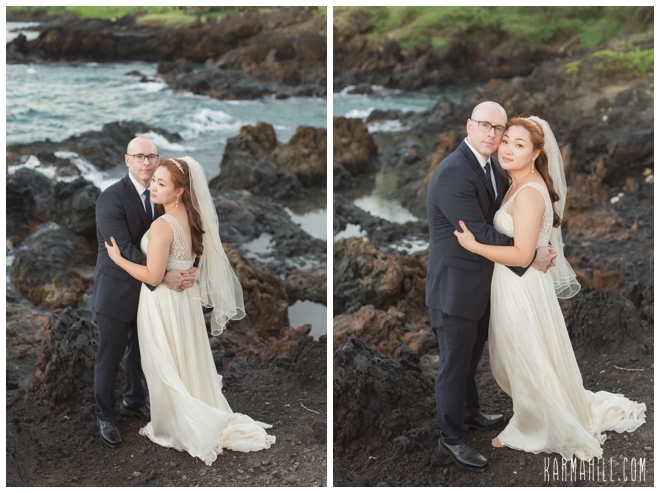 After both family and romantic couple's portraits, the newlyweds were whisked away to a romantic dinner for two. 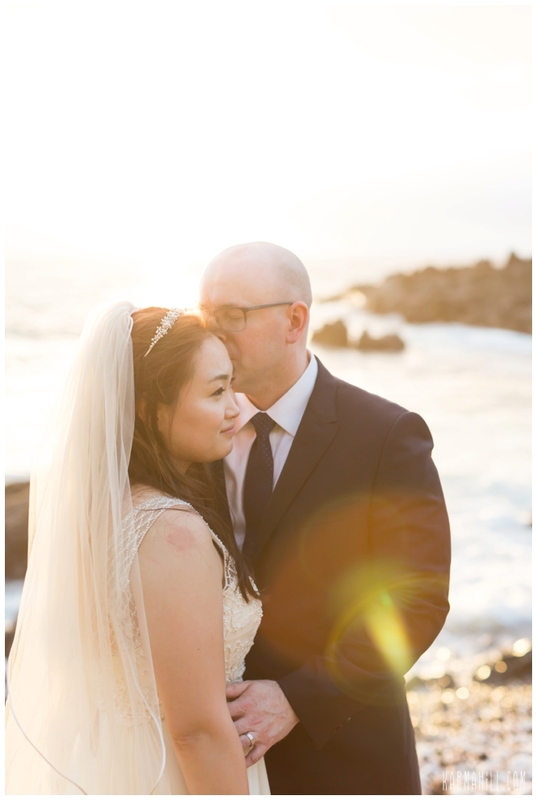 The whole evening was lovely from start to finish. 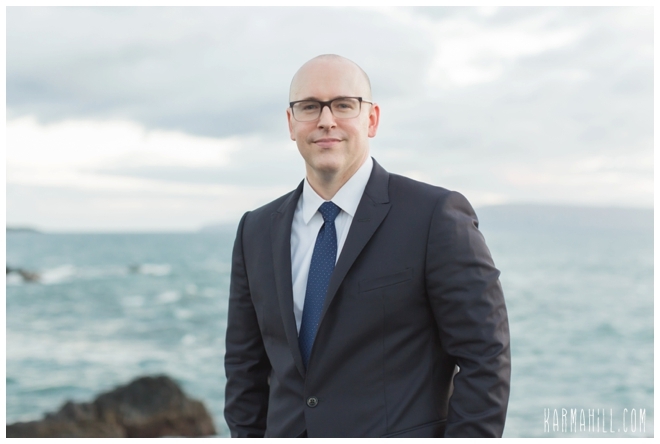 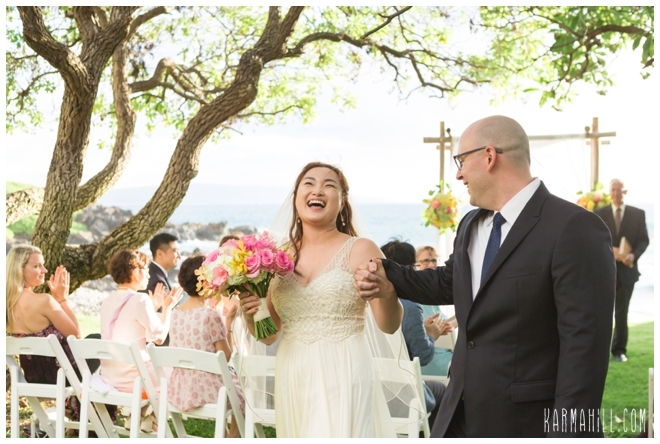 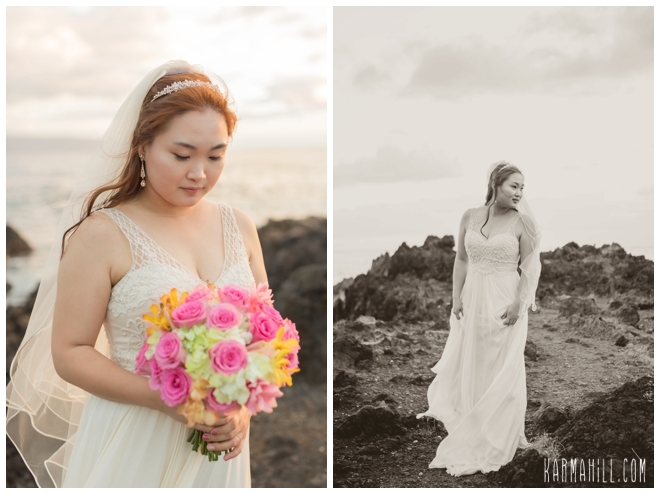 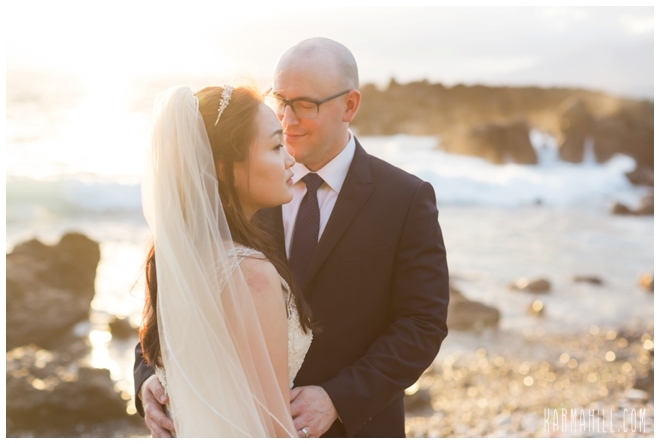 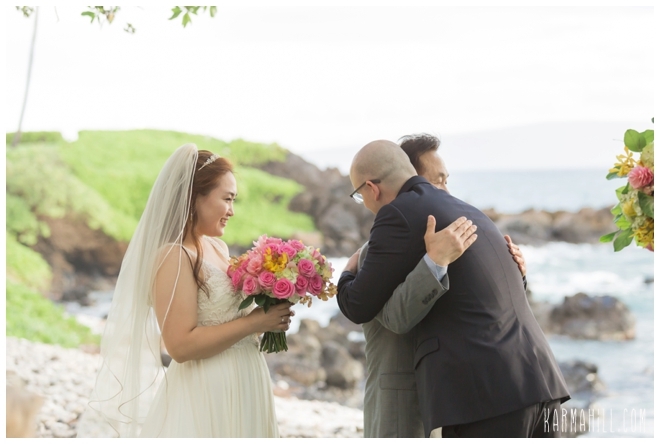 We are so grateful to Boram and Joshua for choosing our team as their Maui Wedding Coordinator. 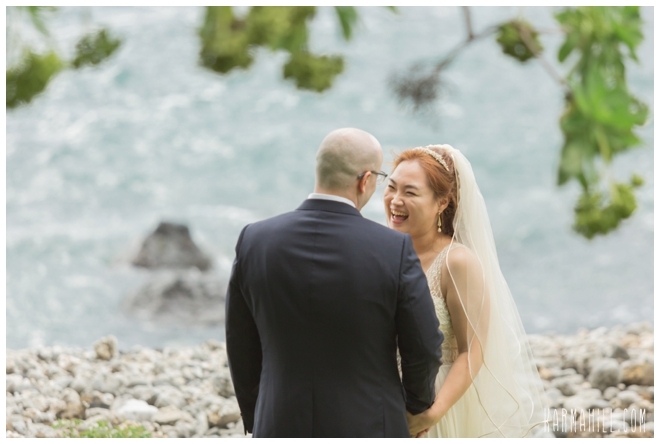 Thank you, you two!!! 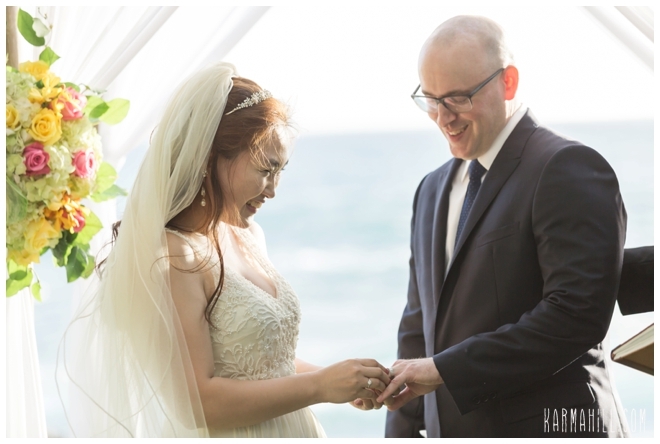 We wish you all the best!!! 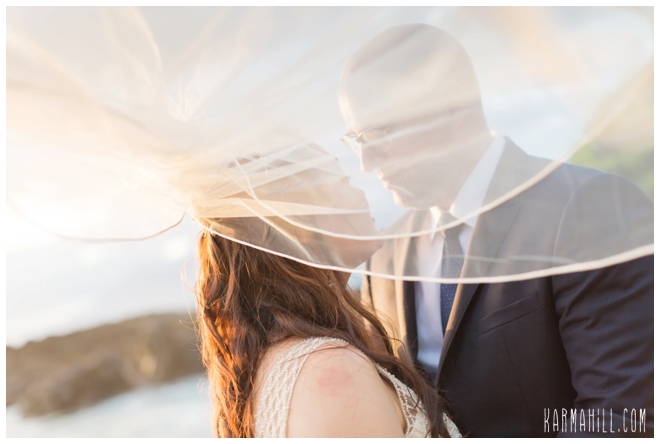 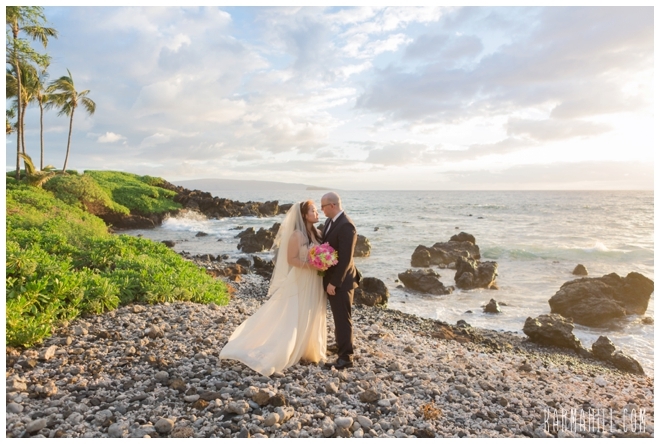 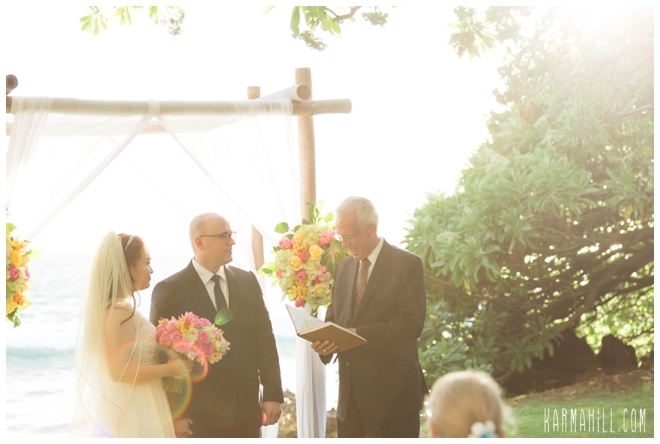 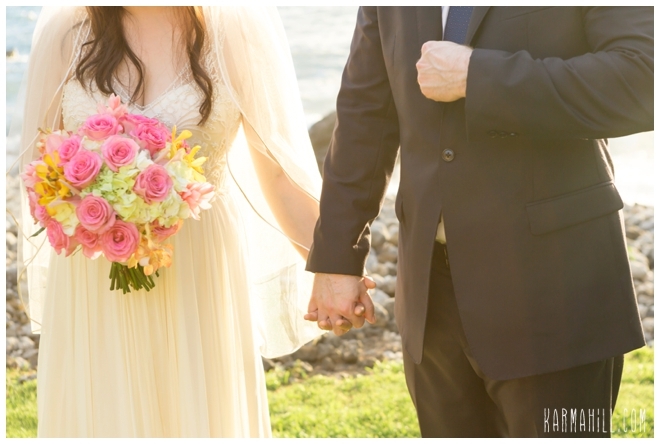 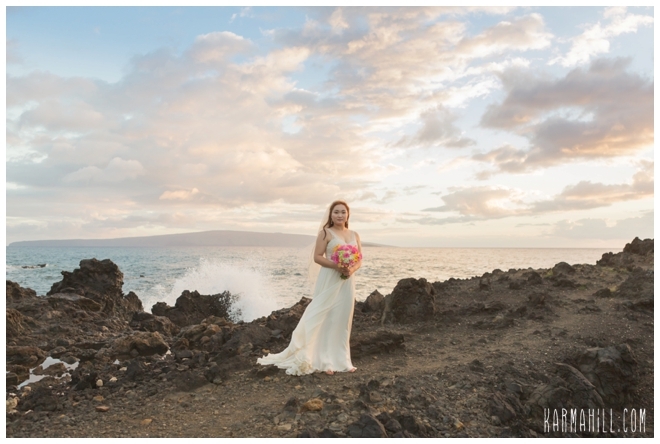 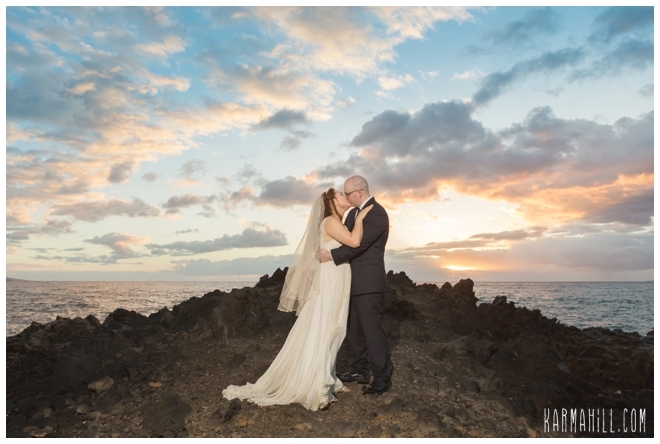 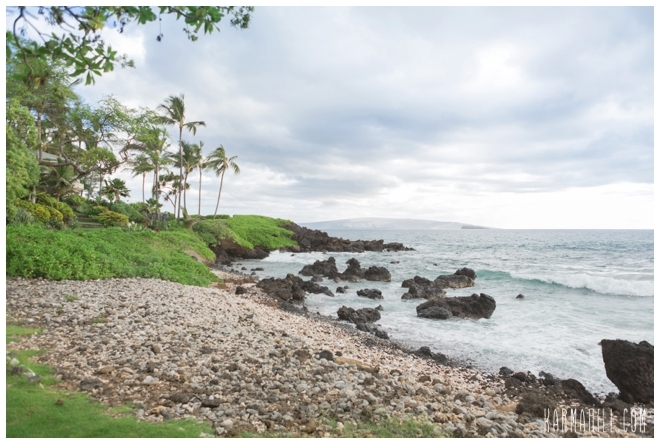 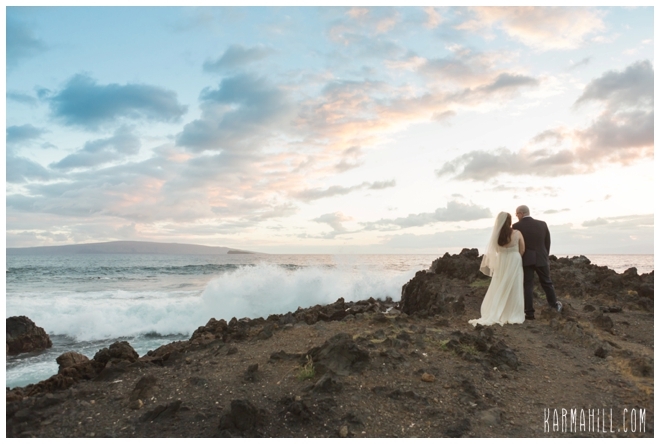 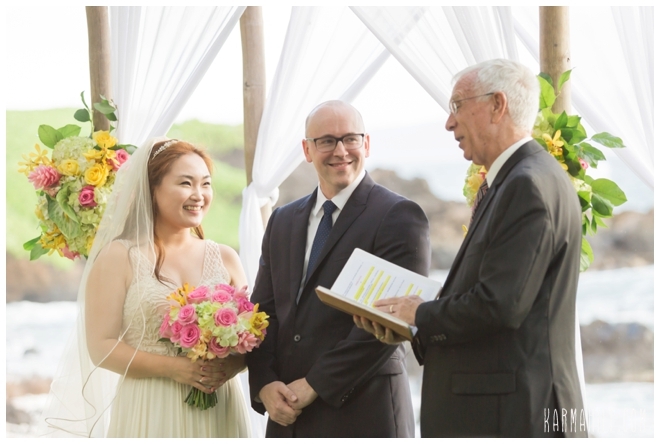 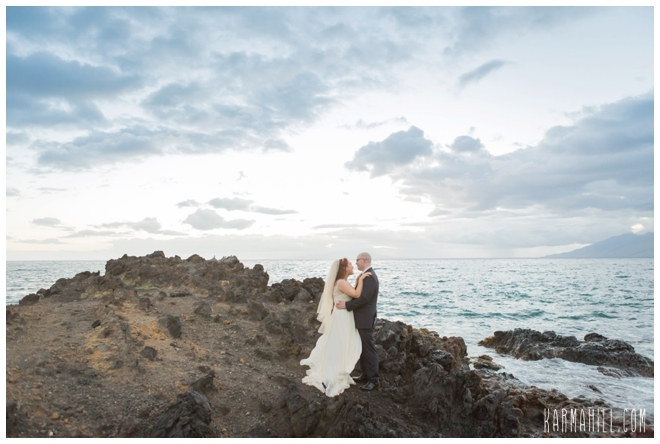 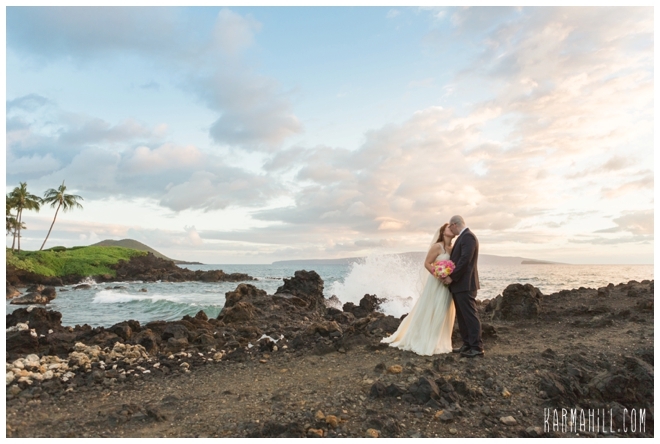 Check out the Maui Wedding of Jaci & Mike!